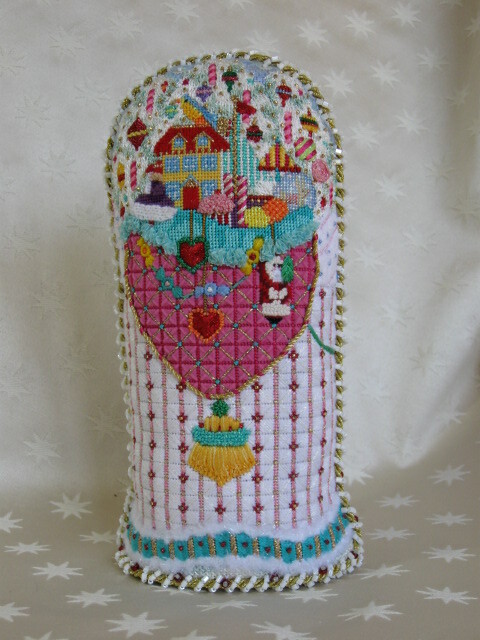 This whimsical Melissa Shirley “Peppermint Stick Santa” is loaded with sweets and treats to give you the opportunity to try many new stitches and effects. 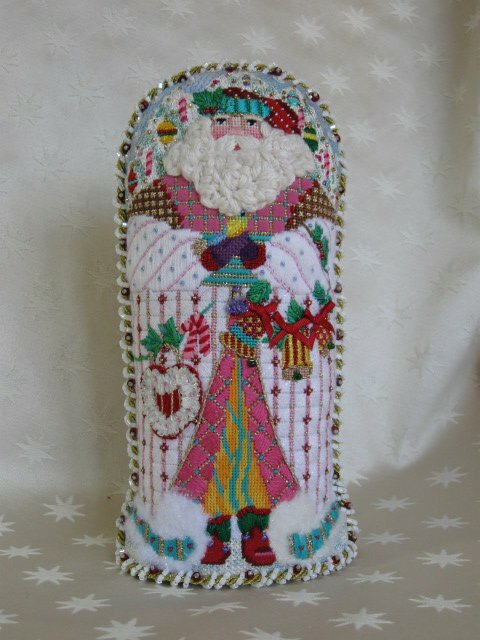 You will have a sweet time working on this wonderful Santa Claus which will grace your home each Christmas season! A complete package can be ordered which includes the beautifully hand painted canvas, all threads, and detailed stitch guide, or just order the canvas and apply your own special stitches.